Several people in the past and recently have suggested that I use some terminology in here that would leave a Landlubber in the dust (as it were) So, in the spirit of pleasing the Landlubber and Powder Monkey alike I have updated the news system to automatically scan the contents for known glossary terms and add automatic links to their definitions. 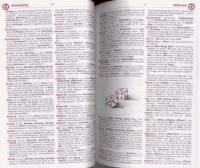 you will start noticing links popping up now that for any term used where a definition exists in the glossary. To make this system a bit less obtrusive the links will only be underlined in green. This will also happen in all the old posts as well - so if you didn´t understand something I was ranting About at some point in the past - you can now go Back and see if I had a definition for it. This is all somewhat of a pilot project, so we shall see how it works - but I always like it when I can get several of my modules working in concert - and this seems a natural way to go. In other news - Halloween was quite quiet for us - seems like all the kids in the neighbourhood did "the rounds" as one big group - we only had to go to the door 3 times last night - but still handed out candy to About 50 kids. The Sechelt Indian Band also put on a fantastic fireworks display that we could see from our house - which was far more then what I expected when a friend from the Band mentioned it to me - I´m be sure to attend that next year.